CareSpot Urgent Care is pleased to announce its plans to open in Nocatee in early 2020. This will be the 15th CareSpot location affiliated with Baptist Health and will be open extended hours, seven days a week – including evenings and holidays. 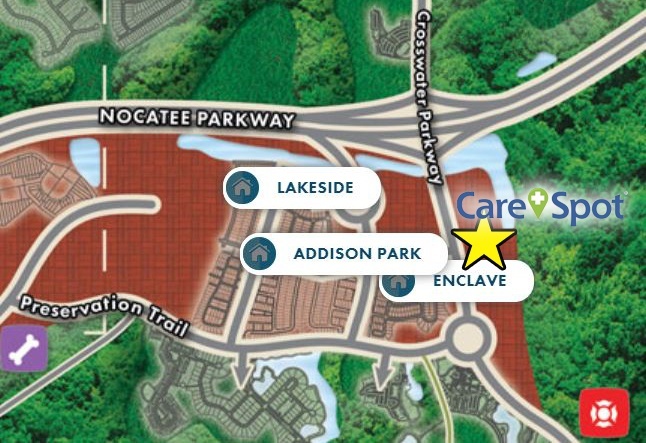 In the heart of the Nocatee Town Center (directly north of Dunkin Donuts and on Crosswater Parkway), CareSpot in Nocatee will offer six exam rooms, a procedure room, as well as on-site X-rays and lab services for one-stop convenience. This new CareSpot location will offer a variety of urgent care services including care for flu, infections, seasonal illnesses, sprains, minor cuts requiring sutures, burns, and more. School, camp, and sports physicals will also be available. Nocatee residents will be able to simply walk in, call ahead, or schedule online at CareSpot.com. No appointments will be required. The CareSpot vision is “Improving How People Experience Healthcare.” If a patient chooses to schedule online, pre-registration will be available to save time in the lobby. Additionally, digital check-in tablets will eliminate all paperwork. These tablets will be integrated with the electronic health records system shared among all CareSpot Urgent Care locations, enabling patients to save even more time on future visits. If a CareSpot patient has a primary care physician (PCP) affiliated with Baptist Health, urgent care visit notes will be shared electronically to ensure the PCP is kept informed. CareSpot Urgent Care is also committed to providing a full continuum of care. After a visit to CareSpot in Nocatee, patients needing more specialized or follow-up care will have the option to access the broader physician resources in the Baptist Health network. Most insurance will be accepted, and affordable self-pay rates will be available for those not using insurance. For additional convenience, many common prescriptions can be filled on premises following a visit to CareSpot. 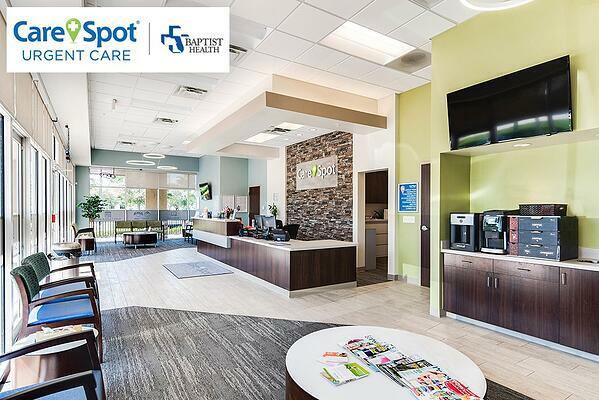 CareSpot Urgent Care looks forward to providing Nocatee with affordable, convenient same-day care that fits busy lifestyles and helps keep this thriving community healthy. For more information on the additional 2,400 sf co-tenant space available next to CareSpot in Nocatee, please contact Skinner Bros. Realty at 904-732-9400.